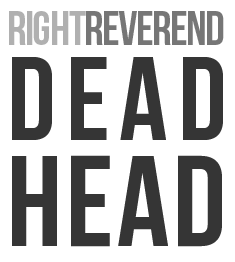 Right Reverend Dead Head - The online home of Bishop Brian Seage. Thank you for taking the time to read this note. I suspect the attacks in Paris reminded you of the uncertain world in which we live. I share those sentiments. Shortly after the attacks our Presiding Bishop produced a video, which I shared, calling us to pray for the victims, families and people affected by this horrible tragedy. I appreciate Bishop Curry’s pastoral leadership. Bishop Pierre Whalon of the Convocation of American Churches in Europe issued a statement Saturday thanking us for our prayers and support. I urge you to continue to pray for everyone affected by the events in Paris and wider issues. Several days have passed since the attacks and I would be remiss if I didn’t identify a growing concern — namely, a rising tide of “anti Muslim” sentiment. We are called as people of faith, in our baptismal covenant, to “respect the dignity of every human being.” Muslims throughout the world are speaking up on social media and denouncing the perpetrators of these attacks with the hashtag #NotInMyName. Many Muslims, in France and elsewhere, are continuing to raise their voices in prayer for the victims of this horrendous crime and for their families and loved ones. On Sunday following the attacks, Imams in Paris gathered at the Bataclan concert hall (site of the worst attack) to sing the French national anthem, La Marseillaise, in solidarity with the city and the nation. My dear friends, I beg of you to love, hold dear, and pray for the beautiful people who have been harmed by these terrorist acts an those who represent the Islamic faith in its true nature and form. We are all part of the human family. Terrorists do not define the Muslim men and women who have been part of our country and world since the earliest of days. As you pray personally or corporately, I invite you to offer the following prayer from our Book of Common Prayer (pg. 840 #7). widening circles of fellowship, and show us your presence in those who differ most from us, until our knowledge of your love is made perfect in our love for all your children; through Jesus Christ our Lord. Amen. I’m so glad to have read your letter on the Paris attacks- you have expressed my exact feelings on this horrible occurrence. I pray that we can do our part to be instruments of His peace. Amen, Sir! If followers of Christ don’t speak up when the folks Christ warned us about mislead so many, who bears the blame? Thank you! Fear is a POWERFUL motivator. I pray everyday to not be the one to fear those people who, in God’s eyes, are His, just like me. Thank you, Bishop. I am getting so much push back from so-called Christians on this in my community. This will help me. Thank you. We can acknowledge evil without surrendering to it, and celebrate the breadth of creation. And also with you, Bishop. Thank you for this message. Thank you for your spiritual leadership in this uncertain world. Thank you Bishop Seage for reminding us of our call in times of adversity to follow our respect and love for our fellow human beings throughout the world. Looking forward to your wit and wisdom! Thank you for sharing your thoughts with us and we appreciate your leadership..